Local Government Areas, during their funeral service at the I.B.B Square in Markurdi yesterday. 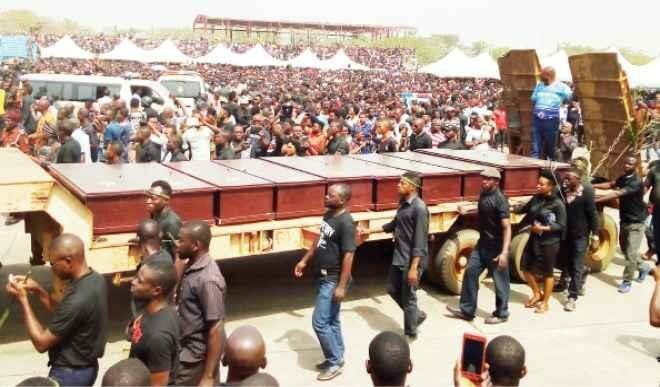 Tears flowed freely yesterday as 73 people killed by gunmen at their homes in several rural communities of two local government areas of Benue State were finally interred in a mass grave in Makurdi. The 73 who were killed in Guma and Logo LGAs respectively between January 1 and 9 this year were conveyed in five trailers and laid to rest at exactly 4:33pm after an open church service held in their honour at the IBB square in Makurdi. In a sermon delivered by the Catholic Bishop of Gboko, Bishop Williams Avenya stressed the need for the Federal Government to speak up on the killings by suspected herders in the country, especially the current attacks in Benue state which he said bore the marks of genocide. A survivor, Akaatenger Azinga, told the congregation that he was in his house sleeping with members of his family when the attackers came and knocked at the door and his wife went to respond, only for her to be captured and slaughtered by the gunmen. 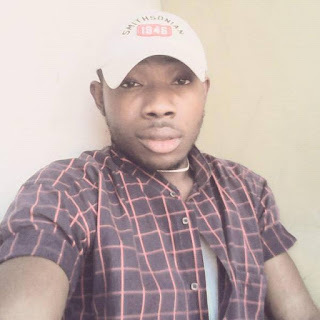 “I heard my wife cry because they came in the dead of the night and when l went to rescue my wife, I discovered that they had slaughtered her and next thing, they started chasing me, they macheted me but l escaped narrowly to a nearby bush,” Avenga narrated.